Well I said I was going to get out in the cold and photograph. I got out in the cold today but it wasn’t to photograph. Today was filled with sales people. We had some returns from the holidays to take care of. Cloths for me that didn’t fit which means I had to pick out something new. Because when I say didn’t fit my better half laughed like I hadn’t seen her in some time so it must have looked horrible. And its hard for me to make a sweat suit look horrible. Except if you get me something FORM fitting. Yeah I got form, just not the kind I used to. I’m working on that but I quickly found a color and size and brand I liked pretty quickly. Another return for something my better half got at the other end of the mall. Then to the big box hardware for a new faucet for the kitchen and some other gear including a new snow shovel because a nasty crack was discovered in one of the two I have. I have two shovels because if anyone wants to help me shovel, I’ll always take help. And then we went car shopping. Wow, how that process has changed over the years. We will probably finish up this exercise tomorrow and I’m thinking it can be detailed and ready to pick up next Monday. I’ll write more about this process tomorrow but the priority of the day has changed. Its time to cheer and go nuts for my local sports team. 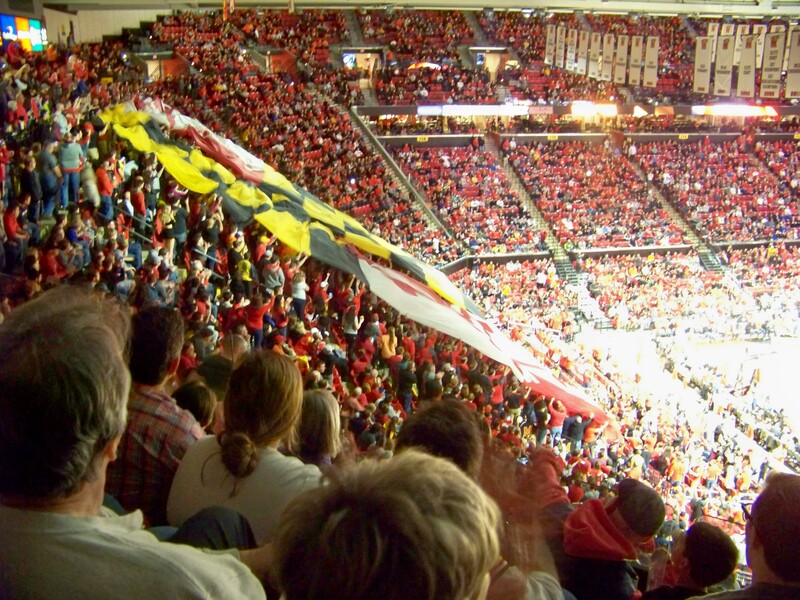 The University of Maryland Mens basketball team. You see one of my lifelong additions is following the ups and downs of this team every year. It has been for over 5 decades now. Its one of few teams I follow passionately and go to some games each year. I love the spirit of college basketball. Anyway I’m going to be late for pregame activities if I don’t move from this box. So off I go. I know I shouldn’t order the cheese steak sub. I know I shouldn’t order the cheese steak sub with bacon. I know I shouldn’t have ordered the cheese steak sub with bacon and mayo and tomato. But I did. And I’m glad I did. I wonder what people think of me when we first meet? I’m hoping to see my children soon, my tank is getting low. You know, well then I won’t bore you by telling you again. Its funny the difference in feeling when the Christmas tree is first brought in and put in the sand before lights and decorations, kind of giddy excitement. And then the same exact tree and look once lights and decorations have been removed sitting there waiting to be taken outside and made into mulch is such a sad thought.